Mass Hog Rider an attack strategy that can be used for all Town Hall levels 7+, Getting more advanced the higher you go up! 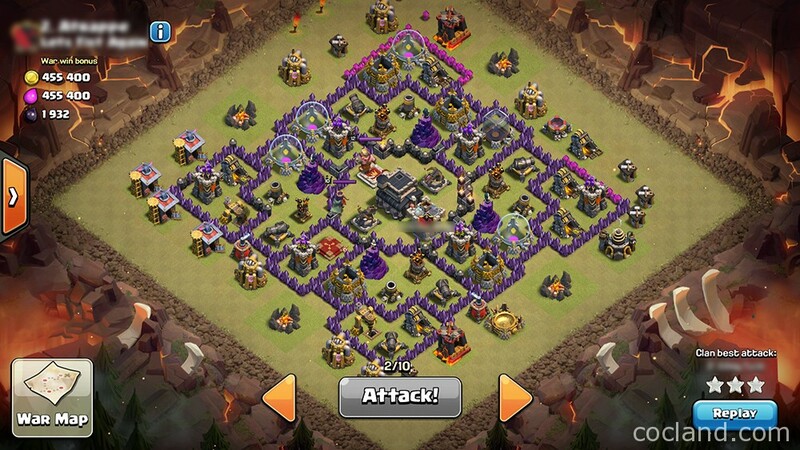 This is definitely an useful strategy to have under your belt, for it can 3-star some of those hard-to-beat bases. 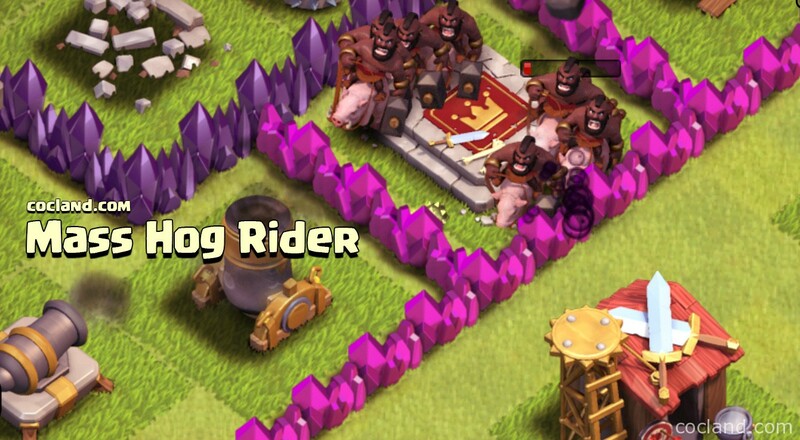 Hog Rider’s level must be higher than Giant Bomb level to survive. 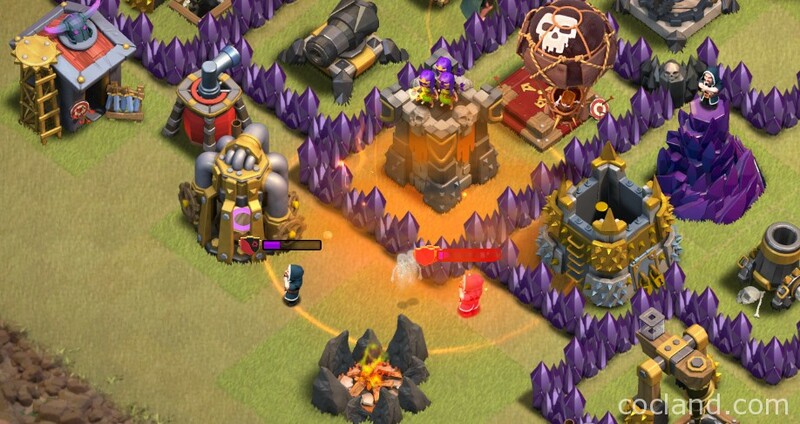 Hog Riders can’t be attracted by Heroes or Clan Castle troops unless all defensive buildings are taken down. Keep these facts in mind, lets break down the strategy for the different Town Hall levels! 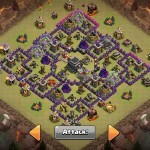 What base should I attack with Mass Hog Rider? 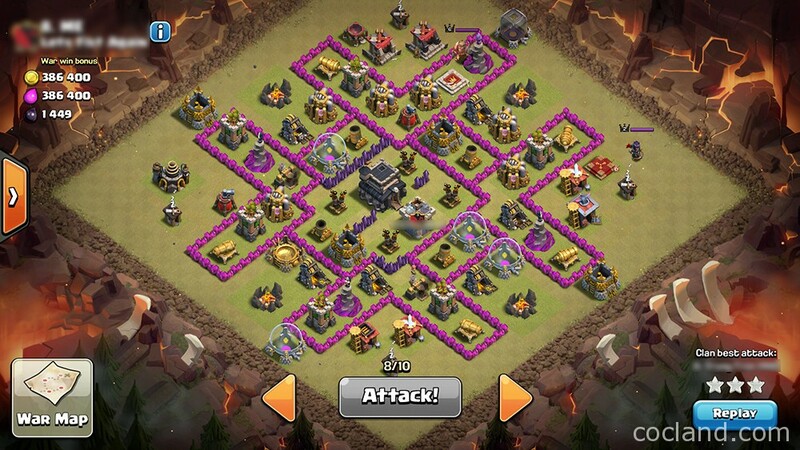 The base layout with either no or just a few spaces between defensive buildings is an ideal base for Mass Hog attack because Giant Bombs and Spring Traps are two most dangerous threats against Hogs. Many players are scared to use Hog Riders due to Giant Bombs but as long as you are fast with your Healing spell placements, know what base you can attack with Hogs and predict the funnel of the base you are going to attack clearly, you will be fine. As you can see in 2 screenshots above, there is no space between defensive buildings except the core but the space in the core is not enough to place more than 1 Giant Bomb so these ones are the ideal bases for Hog Riders. Troops: 30-34x and Cleanup troops. Troops: 34+x and Cleanup troops. Sometimes you can use 1x + Wizards and your Heroes to take down the enemy Queen. Clean up troops can consist of and or . (4-8 Wizards, 10-15 Minions, or 2-3 Dragons). After luring them out, drop the Poison Spell on them. 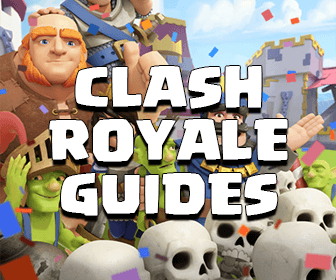 If some troops still can survive, lure them to the corner then kill them with some Minions, Wizards or Archers,… You can read this guide to see which troops can survive a Poison Spell. If the Clan Caste is placed deep inside the base and hard to lure If don’t break the first layer, just send 4 Hog Riders to destroy a defense or 6 Hog Riders to destroy 2 defenses + 1 Giant Bomb. 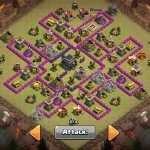 While your Hog Riders are doing their troops, they are also luring the Clan troops out. 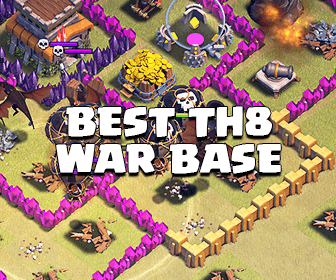 Split the enemy base to 2 part then hold your fingers on each part to mass send your Hog Riders into the base as 2 streams. The reason why we should split our Hog Rider army into 2 streams is for boosting the attack speed as well as minimizing the loss and risk If your army face Spring Traps or Giant Bombs when attacking. After choosing 2 closest defensive buildings for your 2 streams. Before sending your whole army, always deploy 2-3 Hogs nearby to make sure that there aren’t any trap, bomb or Hidden Tesla there. After this step, everything will be very easy. After deploying your troops, you just only need to keep your eyes on them and drop the Healing Spells once their HP bars turn to yellow as well as when they enter the core where is protected by plenty of high DPS buildings. It is not a bad idea to bring 1 Haste Spell to make your Hog Riders run quickly through the Giant Bombs but this need practicing much. Once your Hogs have destroyed a part of defensive buildings, you can deploy your cleanup troops. Make sure that they will not be attacked by any defense. You can use Archers, Wizards, Minions or Goblins for cleaning the outside buildings much faster. You can read more about them at the individual guide for cleanup troops. Another way to learn using Hogs is referring and observing Anti-Hog-Riders base layouts to see the weaknesses of this army composition and find the way to fix it as well as improve your skill to avoid them while playing with Mass Hog Rider.